There is one SUV that has continually proven that it is the top dog. Through its rich history and innovation, the Wrangler is the vehicle that can truly do it all. 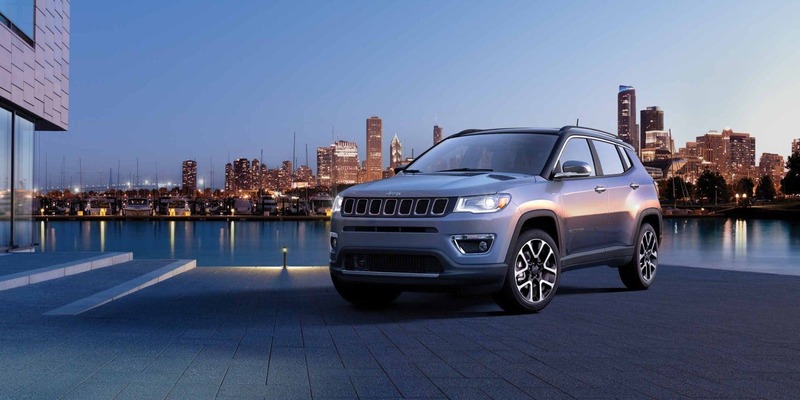 Every model year is a new adventure and after the redesign in the previous iteration, the 2019 model follows with just a few additions to an already decked out model. One of those additions is to the optional Advanced Safety Group package, which now includes forward-collision warning and adaptive cruise control. You'll also find a new paint selection which is a colored called "Bikini". Not much needed to change on the Wrangler, and with a style as iconic as Jeep, keeping it classic is never a bad thing. 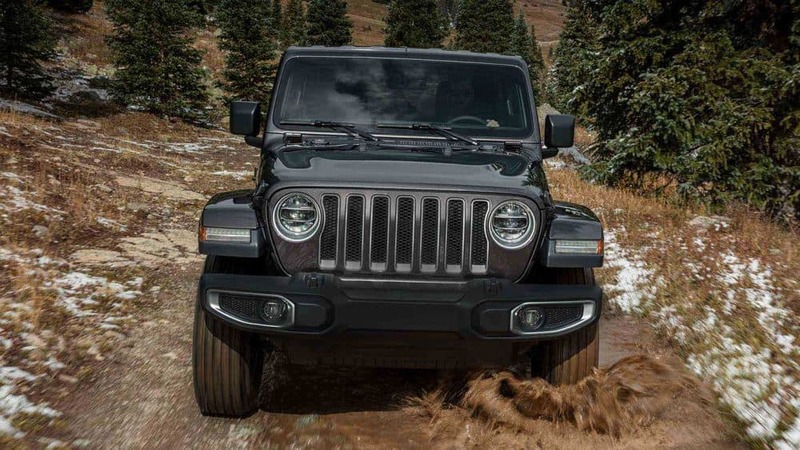 If you're looking for an SUV that will perform just as well on the road as it does off of it, then there's no better option out there than the 2019 Jeep Wrangler. Get the latest scoop on the Wrangler by reading down below! What safety features are available with the Wrangler? There is nothing that the Wrangler is not good at. From off-roading skills to on-the-road entertainment, this is an SUV that has conquered it all. However, even with that pedigree, Jeep still recognizes how important safety is, no matter how fun the vehicle. The 2019 Wrangler includes features like full-speed forward collision warning with active braking, adaptive cruise control, a ParkView rear backup camera, ParkSense rear park assist, rear cross path detection, blind-spot monitoring, advanced front and side airbags, and trailer sway control. What engine can I expect to find with the Wrangler? The 2019 Wrangler comes with two engine options. The first of these is the standard and well-known 3.6-liter Pentastar V6. This engine can work with either a six-speed manual transmission or an eight-speed automatic transmission. This engine can produce around 260 lb-ft of torque and 285 horsepower. Not only that but if you choose the manual transmission you'll be getting 17 mpg city and 25 mpg highway! The other available engine is a 2.0-liter turbocharged 4-cylinder, which works with an 8-speed automatic transmission and can get you up to 295 lb-ft of torque and 268 horsepower. The two-door configuration will be getting you 23 mpg city and 25 mpg highway! What trim options come with the 2019 Wrangler? 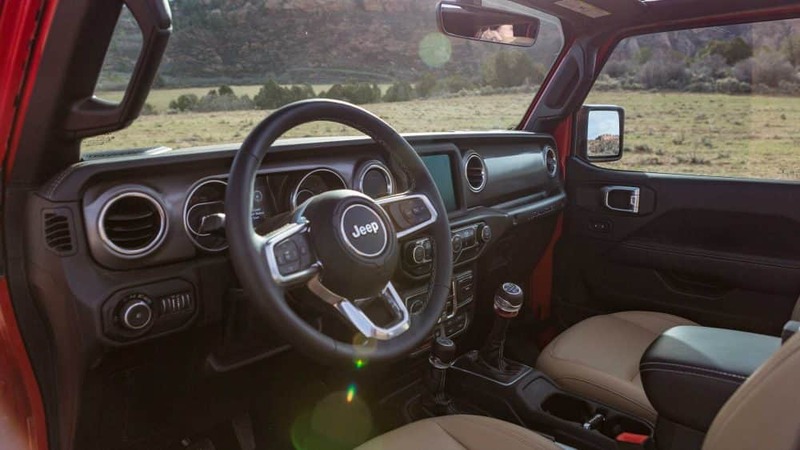 One of the best things about the Wrangler, besides literally everything, is that you can choose between a two-door option, or the four-door Unlimited. This means that if you're looking for a car that will fit the whole family, then the configuration is available for you! Another perk is that both configurations offer Sport, Sport S, and Rubicon trims. 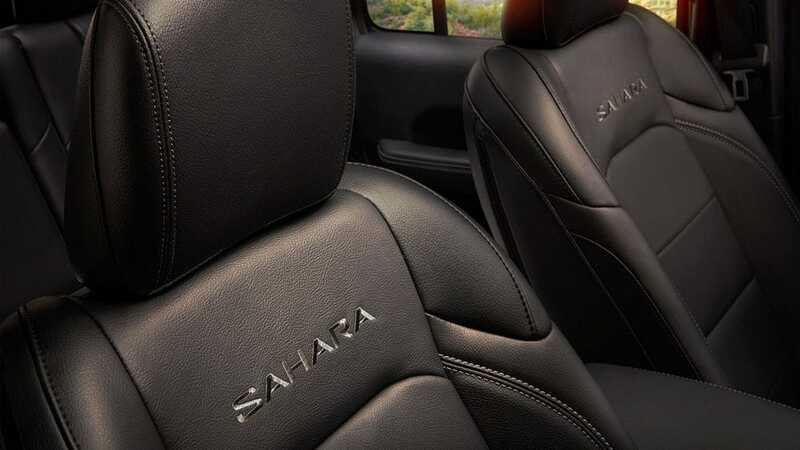 The Unlimted configuration also adds in the Sahara and Moab trim levels. For another worried about the top of your Jeep, both body styles are offered in a soft-top convertible or a hardtop option. The base trim Sport includes features like an eight-speaker sound system with a USB port, a height-adjustable driver's seat, a full-size spare tire, a tilt-and-telescoping steering wheel, cruise control, fog lights, an auxiliary audio jack, skid plates, a 5-inch Uconnect touchscreen display, tow hooks, 17-inch steel wheels, Bluetooth, and a fold-down windshield. The Sport S trim comes standard with sun visors with vanity mirrors, alloy wheels, a leather-wrapped steering wheel, air conditioning, an alarm, automatic headlights, power windows and locks, remote locking and unlocking, and heated power mirrors. One of the higher models, Moab, includes blind-spot monitoring, a steel front bumper, a 9-speaker Alpine audio system, keyless entry, LED exterior lighting, an 8.4-inch Uconnect system with navigation, an auto-dimming rearview mirror, black-painted exterior trim, and premium leather upholstery. 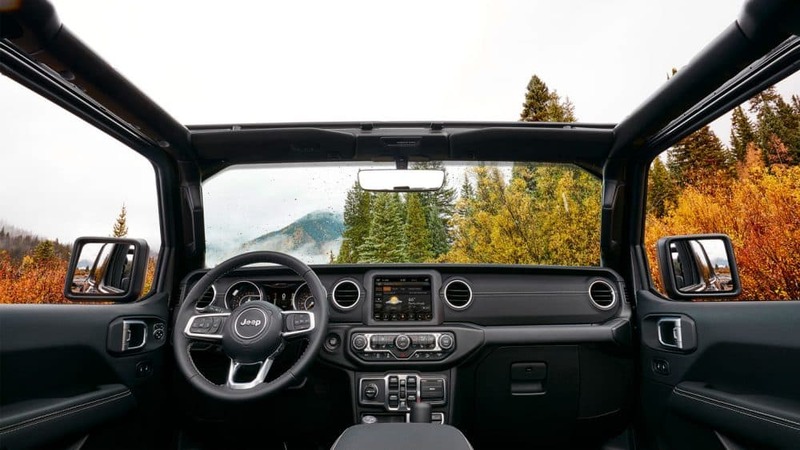 If you're looking for a vehicle that combines fun with utility, then there is no better option than the 2019 Jeep Wrangler. The Wrangler maintains its off-the-road prowess while adding additional features that help to make it the king of the pavement. 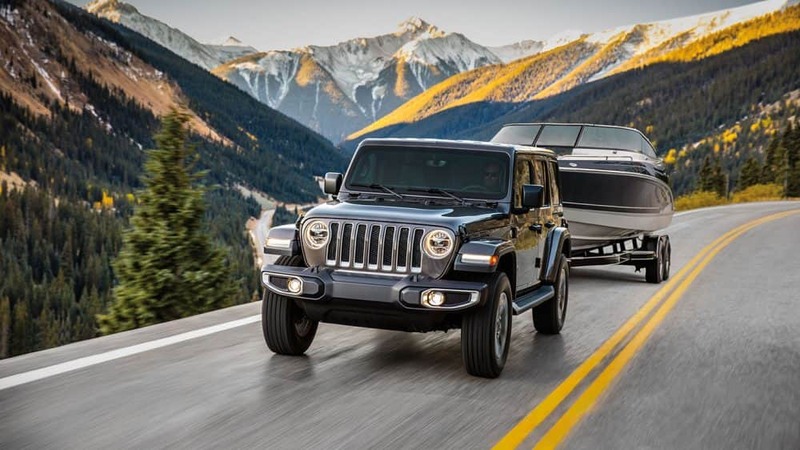 Stop by our dealership today and test drive a 2019 Wrangler for yourself!